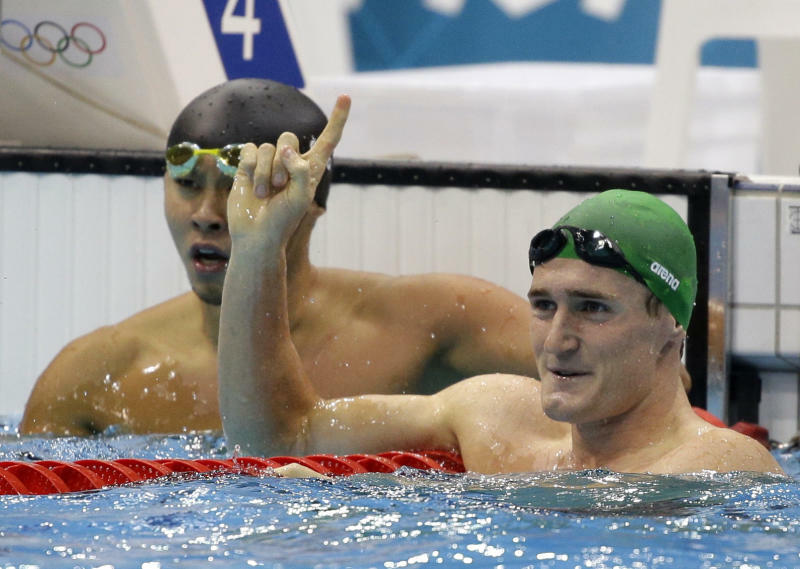 LONDON (AP) — Cameron van der Burgh of South Africa set a world record to win the 100-meter breaststroke at the London Olympics on Sunday. Van der Burgh clocked 58.46 seconds, 0.12 seconds better than the mark set by Brenton Rickard of Australia at the 2009 world championships in Rome. Christian Sprenger of Australia took silver in 58.93 and Brendan Hansen of the United States claimed bronze in 59.49. Two-time defending champion Kosuke Kitajima of Japan finished fifth.